What's the Best Registry Cleaner? - Ask Leo! What’s the Best Registry Cleaner? Registry cleaners are widely available. When do you need one? Why? What's the best registry cleaner if you do? In general, a registry cleaner isn't needed and when it is, shouldn't be used frequently. What would be the best software to buy to fix and clean the Windows registry? There is no “best” registry cleaner. There are a wide variety of opinions on registry cleaners and PC cleaning tools. Many people believe that they’re valuable and important tools to keep your system running smoothly. My opinion’s a little … contrary. I rarely use a registry cleaner. In fact, I’ve never actually felt that I’ve needed to use a registry cleaner. Usually, I only run them to experiment with the cleaner, not because I felt my system would benefit. And I definitely install and play with random things on my machine on a regular basis. That kind of “playing” is exactly what most registry cleaning advocates would say lead to issues with the registry. And yet … I’ve rarely had issues and when I did, running registry cleaners weren’t part of the solution. My fundamental belief is that the best registry cleaner is no registry cleaner at all. In my experience, most computers don’t benefit substantially, if at all, from a registry cleaning. And some actually get worse. Many people reach for a registry cleaner when an application is having problems or Windows is misbehaving. The problem is that these types of situations rarely respond to registry “cleaning” – they often require an application- or Windows-specific resolution. Unfortunately, I also get reports of situations where registry cleaners have made things worse, often much worse. I’ve heard from individuals that have had to completely reformat and reinstall Windows after running a registry cleaner that did much more harm than good. So when is registry cleaning appropriate? Speed up a very slow Windows, but only if nothing else has really helped. Resolve Windows or applications crashes, but only if nothing else has helped. In both cases, I consider it one of the last resorts because while it might help, it’s just not that likely to help much. Before you begin, back up first; take a full system image. That way if something goes wrong as a result of the clean-up, you can safely restore your machine to a point in time before the damage was done. There are those that disagree with my position. And, to be honest, while there are the occasional horror stories like those I just mentioned, most of the time registry cleaners don’t do any damage. They may not do any good, but reputable ones aren’t going to harm your system unless there’s some other kind of underlying problem. Because you can’t tell whether your situation is going to be one of those “mostly OK” scenarios or a total disaster, it’s important that you take care to always back up properly before your begin. Which registry cleaner should you use? So if you’re going to use a registry cleaner, which one should you use? CCleaner, the Windows cleanup utility has a registry cleaner as well. Run “Analyze” and you’ll be able to see the changes its about to make. Macecraft’s JV16PowerTools, a commercial solution that includes not only a registry cleaner but an entire suite of useful maintenance utilities. I’ve used both of these tools on an otherwise clean and working copy of Windows 8 and had no issues. Regardless of which registry cleaner you use, please backup first. You can’t have too many backups. How Do I Restore a Registry Backup if I Can’t Boot? - For a full, catastrophic failure where you cannot reboot into Windows, it may not be possible to restore a registry backup. You may need to have previously done a full system backup that you could then restore to get your machine working once again. Why Doesn’t Microsoft Dump the Registry? - The registry is just a database, and needed for the complex issues it solves. It's true that things can go wrong. Why Do System Cleanup Utilities Report So Many Errors on a Supposedly Clean System? - System and registry cleaners often report wildly differing results. The reason? Sales tactics, and no clear consensus of what it means to be clean. How do I add a picture from My Pictures folder to the body of IE 6 outgoing message? I want the picture & not a link. IncrediMail has some sort of proceedure built into its system whereby you can save “Add Animation to IncrediMail Style Box.” Then when using their e-mail all you have to do is select from pictures you’ve saved. is their a program for my computer that can show me what programs are running in the background on my comouter? I think I have to agree with Leo about Registry cleaners. I had a Gateway 2000 with DSL form ATT. Well I needed to uninstall norton and when I went to reinstall I did not have enough memory because they had upped their requirements. Using registry on that machine did not help. Privacy Guardian even slowed it further. So, I obtained a Dell Dimension 4300 that had been in office use. It was stripped. I loaded it and then norton still would not work. so I purchased PCTools Internet Security which has anti-spyware, anti-virus, firewall, and spam protection. I cannot get the firewall to install, so I am waiting on tech support, which is not so great. As a bonus I was given Desktop Maestro which is a combination of Registry Mechanic and Privacy Guardian. That slowed my machine, froze it, gave me blank screens and I just uninstalled and am requesting a refund. I have been all over the web looking at all the reviews written and no one agrees. RegCure found the most errors, but how do you know if correcting them will really make your machine run better? I find this very frustrating. I don’t even know if I have a back-up. So I will not be purchasing any registry cleaner, because I am afraid of what has been done and might be done even on the newbie club I was not convinced. Thanks Lou. It seems to me that the computer industry gets away with murder! When we take into account the billions that are spent every year by computer users alone, including hardware and software, it begs the question: why are we al still scratching around on websites, going from Billy to Jack, endeavouring to find the golden fleece, i. e. a program or utility that will reliably clean our machines so that all the dross is removed and we can use them again in much the same state as when we bought them as new. Is that too much to ask?I believe there must be millions of angry and dissapointed customers out there who are totaly frustrated with their computers and a lot of them give up as it becomes obvious that there is no real governing body which will fight their cause for them! Windows has most if not all the tools required to clean and repair the system, already built in. Do a little research and use them. My personal preference is Windows Live One Care. For a nominal fee you can cover off up to three computers providing you with virus protection, clean up, defrag etc. Registry clean up is also available through Microsoft Safety Scan at no additional cost. Again everyone has their own tastes and I with mine have to disagree with Leo. I think Registry Cleaners are a vital part of our computer’s lives. When the aforementioned annoying problems persist it tends to reflect upon a heavily damaged, poorly kempt Windows Registry. By utilizing todays registry technology computers can recieve their regular maintenance easily by their owners. Not some overpayed geek. Theres a ton of registry programs out there and the wrong one can do more harm then good. But with the right one your computer can continue to run as new. There is freeware type programs available but if a vital mistake is made there is no support team to help. Sometimes even no backup options. Leave something as important as your computer registry not to chance. Click here To see my review page of today’s top Registry Cleaners. Needless to say, I disagree, but the “other side” is always worth considering when making decisions. Thanks for your thoughts. Note to Gabe Redfield: I’d love to see the list of today’s top registry cleaners, but the link in your comment doesn’t work. I also disagree with Leo on this one. I have used CCleaner’s registry cleaner for a half dozen years+, and typically run it at least once a week. It has NEVER caused a problem. There are registry cleaners that do cause problems primarily because when they can’t find the file referred to in the location referred to, they attempt to change the value to link to the same or similar file in a different location. That can cause major problems. CCleaner does not do that; if it can’t find the file IN THE SPECIFIC LOCATION, it simply deletes the entry. It’s essentially impossible for that procedure to ever cause a problem. But does it make the computer faster? Probably not, unless you have a humongous # of bogus entries. The registry, after all, is a small database, and removing obsolete entries from it on a regular basis probably produces an imperceptible change in performance. I can’t backup before using CCleaner because Macrium Reflect fails each time due to an unused cluster. I have tried everything using Run Chkdsk C: /f & task manager . I have a previous months successful backup but now it’s beyond me . Not much point using CCleaner if I can’t backup . “Unused” cluster is unfamiliar to me. Does chkdsk report any errors at all? Have you tried chkdsk /R? This article is 100% bullcrap! The auther tells you the best registry cleaner is no registry cleaner at all because he fails at understanding how the Registry works. Any free or old programs you might have installed, licences, keyboard, mouse operations, tracking programs, and may other things that hinder your PC experiene exist in the registry. You must clean it and keep it compact. Anyone who does not or says you dont (Leo) is a complete moron! Calling me a moron doesn’t really help make your point. I stand by what I said, moron or not. 99% of the crap that does end up in the registry is totally benign, and most of the time doesn’t impact performance in any appreciable way. There’s simply no need to clean it out. What you don’t see are the people who’ve totally hosed their system by running a registry cleaner that “cleaned too much”. I see that. Often. Unless you know what you’re doing (see my response to the next comment), in my opinion registry cleaners are simply not necessary 99% of the time. ExpertPCUser: I would like to see the evidence for your assertion: “You must clean it and keep it compact.” Particularly when you consider your insulting terms to those who are not fortunate enough to have your wealth of knowledge on the subject. For my part, I use a tool that cleans the registry as part of a number of fixes and optimization. (IOBit Advanced System Care). I wouldn’t use a separate registry cleaner but I do allow the cleaner to run along with the other tools. So far, I’ve had no bad experiences but I am reassured that the tool creates a registry backup as part of the process so I fall into the : “Most likely not needed but what harm can it do” camp. Yes, Steve, I too use10Bit Advanced Systen Care and find nothing bad happens. They provide a roll back in their interface, but I have never had to use it. And every so often I run CCleaner. Thanks Leo, for ALL your newsletters, I look forward to them, as they often answer a question that I was wondering about, or, I find someone else’s question interesting and I learn something new. ExpertPCUser: Any opinion you might tender is rendered meaningless by all the careless misspelling in your response. It just makes you seem ignorant and petty…certainly not someone whose opinion I might consider to be useful in any manner. On the other hand, I have received the “Ask Leo” newsletter for several years and found it to be helpful and informative. To Leo: Keep up the good work! I value your opinion! Well said Carol! I too have found “Ask Leo” to be very helpful on many occasions. Not only fixing problems but learning a new or better way of doing things. I tend to lean toward advice from what I consider a trained and experienced expert! I use Ccleaner and have for several years with no problems. But cleaning my registry is not something I consider a critical issue when my computer is working fine. “If it ain’t broke…don’t fix it”. I side with Leo; I am a windows software developer, I also develop for Mac OS X and Linux. I’ve worked in the IT industry for 20 years, spent some time over at Norton removing thousands of threats of all sorts. I have several systems at home, some Windows, some Macs and a few Linux systems used by myself, my wife and 5 kids. The only systems that get issues are the Windows boxen; YMMV, but that is what is happening over here. I mean, even installing Java on Windows installs a toolbar, by default, none of that on Mac OS X or Linux. The other day, one of the kids guessed the admin password of the wife and installed registry cleaners, PC Booster, overclocking software … you name it. All of a sudden, default search engines, homepages etc were overridden for each and every browser (Firefox, Chrome, and IE) for each user (7 users total). Uninstalling and cleaning the system took hours of my precious time. I do have two backups, and I do not trust system restore (last time I used it my computer ended up in a Windows Update loop, reinstalling the same updates after every restart, again and again) … I prefer to clean it myself. Registry cleaners do nothing. They probably reduce the size of your registry somewhat which means that your computer uses a few kb’s less RAM (yes, kb’s), if that speeds up your computer, consider purchasing more RAM. Honestly, claiming a 100kb smaller registry (and that means registry cleaner “really” removed a “lot” of crap) speeds up your computer that has 2 Gb of RAM is simply BS, to use your vocabulary. PC Boosters do nothing. Anything advertized on the internet as “speed up your computer” does nothing. If you want to speed up your computer, get more RAM, and even better, get an SSD. I am not a computer geek. I rely on the knowledge of others. When I read ANY opinion or advice on PC maintenance which includes the calling of names such as “moron”, I immediately distrust the advice that the name-caller has offered. Mature and knowledgeable computer experts do not use name-calling in order to make their point. Opinions can be communicated without personal attacks on others. And in the arcane world of PC maintenance, there are apparently no true “rules”. Even the programmers at Microsoft (presumably the best they could hire) have to periodically release “bug fixes” because they didn’t get something right the first (or fifth) time around. So I consider Leo’s opinion to be as good as anyone’s. Leo’s (Opinion) is very wrong! You need a registry cleaner to uninstall old data from programs that did not fully install, erase invalid settings and keys. The health of your registry is critical to the total health of your PC. Many, Many programs you no longer have on your PC currently might still exist and have registry keys in your Registry File. So people please invest in a good registry cleaner to keep your machine from stressing you out and running invalid keys. Pointer : You can make registrybackup files by typing regedit in your run button box located on start menu. Choose file export from the registry window with the My Computer (top of list) selected. Save the export file (regbackup01.reg) in a folder (registry back up). To restore your registry back to its old version just double click on your back up file. Specifically “The health of your registry is critical to the total health of your PC” is much too broad a statement. Having a lot of old data left in the registry does not make for an “unhealthy registry” or an unhealthy machine. The impact is typically minimal, and not worth the risk of an over-aggressive registry cleaning. Yes, there are absolutely things that can happen in the registry that can adversely impact your machine’s performance. But that’s quite different than the oft-repeated “there’s stuff left over in your registry”. The later is, again, benign 99% of the time. Registry cleaners are an appropriate tool for those who know what they’re doing – perhaps even GeekSquad members – but they’re not something I recommend for the average user, except as the article calls out, as a last resort. One other thing: “To restore your registry back to its old version just double click on your back up file.” – that assumes your machine still boots. In the scenarios I hear about quite often it does not, and recovery isn’t nearly that simple. Thanks for an excellent article Leo. The people who say that is essential to use a registry cleaner are clueless – it is not essential. Another point, most of the cooments with links to download registry cleaners or to review sites have been made by affiliates of the programs they suggest and they make money from sales of them. So their opinion is worthless as they are just trying to make money. Having used practially every registry cleaner written for Windows I can honestly say that more that 99% of registry cleaners identify at least some valid registry entries as being bad, and deleting these entries can and often does cause problems with the worst case scenario being that Windows will no longer start. For people who do feel the need to mess with their registry I recommend TuneUp Utilities 2009 as it very safe and the trial version is fully functional, unlike many registry cleaners. CCleaner and Argente Registry Cleaner are the only free registry cleaners which are safe to use, however on occasion the deletion of empty software keys can cause problems and a restore will be needed. RegistryBooster is not a very good registry cleaner. It gives minimal information about the problems found, and appears to give some false posatives. If you are going to buy a registry cleaner I suggest the soon to be released TuneUp Utilities 2009 as it finds many problems and is safe to use. Or perhaps you might want to not use any registry cleaner. After doing research on registry cleaners I have found that most of them are the same! That’s right, I forget the associations right now but regfix, errorsmart, registrysmart,errorkiller, regsweep, and a few others are all the same program by the same company with the same website template with the same testimonials with the same LACK OF SUPPORT. That doesn’t sound like reliable software to me. Mike, somewhere in here, said it well. It seems that way too much of my time and money is spent on utility software rather than the work and enjoyment that a computer can bring. That being said, I have tried a few registry cleaners and find little benefit from using them. When I do need to clean all remnants of a program out, I have to do it manually via regedit, search for the keyword, delete, F3 until done. Sometimes that is the ONLY way I’ve been able to reload a program that has stopped working correctly. This is probably the 1% that Leo refers to. To Leo, I value your opinion. Thanks for what you offer. registry cleaning is not that necessary because usually the cause of most instability is related to driver issues and from my experience most registry cleaners wisely avoid messing up with drivers’ entries. what used to count was registery defragmenting. defragmenting the registry will decrease its size and free some more RAM that can be used by other applications. However,considering that modern pc now have 3 or 4 GB of RAM defragmenting won’t have the noticeable effect it used to have on performance of older machines. I agree with the comments that registry cleaners are dangerous. You don’t get enough information to make an informed decision. When I am looking for a specific problem I use Registry Healer(www.fixregistry.com/regheal). That program gives me several options as to what change you want to make to the registry file directory location etc. It also will bring up the parent directory, open up regedit to look at the key and Google the file name. I would be interested in knowing if anybody else has tried this program and what the pitfalls of it may be. U won’t believe I use about 10 different kinds of registry cleaners for about 3 years…. What are the things to take note before purchasing a registry cleaner? Firstly you may have noticed that there are a lot of registry cleaners for sale . All products all shoot a line as being the best registry cleaner for your Windows registry problems. Purchase a program that addresses the issues Windows commonly has with safety. Make sure that your registry cleaner is very safe when it comes to deleting. Nobody wants a product that deletes something that might be needed. I’m using Win.XP and I was told to never use any Registry Cleaner because they can corrupt some programs . I experienced this myself when I used a registry cleaner a couple of month’s ago and couldn’t open my Adobe Photo Deluxe program afterward. I tried to reinstall it and couldn’t do that either, I got an error message. I had to go into a forum and finally got it resolved. That is where they told me to never use any Registry cleaner because they will cause problems. The only way I got my Adobe Photo Deluxe to operate again is by using “system restore “. I don’t use register cleaners, but I read several blogs that talk about them. Dave Taylor had one recently that was neutral, but showed an example on how to use one. It was on this article: http://www.askdavetaylor.com/best_easiest_way_to_speed_up_my_windows_7_win_pc_laptop.html?utm_source=feedly . I use a tool called revo uninstaller and when it is done it removes the old keys from the program that was uninstalled. but it dose a full backup of the stuff itself. but i don’t make it a habit of using a actual reg cleaner itself besides from this program. I asked an IT guy at work about registry cleaners and he replied that it was rather like trying to do brain surgery on yourself, i.e., be very careful and only when there is no other brain surgeon with more experience. Man what a hornets web your stirred up,withy register cleaner, even some uncalled for nastiness, my thinking is a good cleaner serves its purpose,as a drop of oil does on a door hnge,put too much on and you have a mess . I had the pleasure of digging through the registry to remove the left overs from from Nortons work program a few Years ago,sure would have been nice to have had Ccleaner Then. I do use it after lots of surfing or after deleting a program etc. Windows has gotting better at deleting unwanted,but needs a bit of help sometimes. Having worked extensively with PCs since the days of DOS 1a, I know a LOT about computers and the MS operating system. Enough that I was considered the local “expert” on the subject. And I still don’t know what all that Leo knows. Whether or not I agree with him is irrelevant. On topics where there is more than one answer, I may have a different opinion of its value. But I still trust him to know what he’s talking about. On the subject of registry cleaners, I’ve learned the hard way, more than once, to avoid them. Too often they “clean” out settings necessary to run certain hardware on my machine. Fortunately for backups and System Restore, I’ve gotten them back. Too often, said cleaners have wiped out programs I’m currently using and want on my computer, necessitating their complete re-installation. Registry cleaners have served me NO purpose. For programs that I’ve installed and decided to remove, I use Revo Uninstaller. For myself, the free version has been perfectly adequate. It not only uninstalls the program, but also finds any remnants in the registry that could slow down my computer and removes THEM, as well. And that’s why most people use their registry cleaner in the first place. So there is MY recommendation, Revo Uninstaller. Keep in mind that I am NOT an “expert”, but quite knowledgeable, and yet I will bow to Leo’s opinion if his is different. If you entered the public library and was told one of the books had 1000 typos, would you walk out? That book with the errors would only affect you if you chose that particular book, and even then, it would probably be very readable. The average book is 150,000 words, so what’s the issue with 1000 spelled wrong. My Registry is 350 mb [I save it so I know] Fixing 1000 “errors” would be like clipping off a tiny corners on page 385 on the Sunday version of the Los Angeles Times. A waste of time. The only thing you need to worry about in a bloated Registry are those very few programs that are set to auto run on every startup. If you have errors in those few programs, they will become very obvious. Reg cleaners do nothing. i am trying to install a new windows 7 and every time i try i get the computer telling me u have to install sp1, how can i get around that ? and if no way how cant i get that patch to get installed ?. Isn’t that a “wonderful feature”? If your media is just w7(no Sp1), and since your original install you then added Sp1 as a patch or from windows update, your DVD is useless(your stuck). My #1 – Go to the windows download site and get the w7+Sp1 ISO file. Free download. Save it to your desktop, double click on it to start your install. You must have the 25 character install key (from your old DVD) to activate the install so it won’t quit after (30 ?) days. My #2 – Usually MS will sell you an updated DVD (w7+Sp1). Talk to them to see what proof they need to see you as a legitimate customer for the sale. Sounds like a religious war, and a challenge Leo. Hmmm – so, ‘ExpertPCUser’ and ‘GeekSquad’ disagree with Leo. I was one of the ones who used a registry cleaner, highly rated, and ended up having to reinstall Windows. That was 3 years ago. Now, in lieu of a registry cleaner, if my system became very slow, I would go ahead and reinstall Windows before using a registry cleaner. Leo, or others very knowledgeable, can get away with using registry cleaners, because they know exactly what they are removing…the average user does not, and therein lies the crucial difference. If you are instructed by a tech support person to remove registry keys, do not just delete…first create a new folder, label the folder, click to EXPORT the registry key into the folder, which copies the key. Give it a descriptive name. Only then, delete the key. Do this for each reg key you are removing. Make a Notepad blurb to remind you what the keys were for. Now if you have problems, click one key at a time to MERGE it back into the registry. My fundamental belief is that the best registry cleaner is no registry cleaner at all . As a programmer I fear writing code which isn’t 100% perfect. Not 99.99%, that produces a big error sooner or later. Actually, 99.99% means the program will produce an error once every 10000 runs. Registry cleaners are fallible by default, as I believe it’s impossible to develop a one-size-fits-all solution for all the different system setups. And, registry cleaners delete things, making the process irreverisble. Making a system image isn’t feasible, as you may have a stable backup 2 weeks old, and in the meanwhile you worked a lot on your PC and installed new things. Ergo, registry cleaners are a time bomb by design and are bound to wreck the system sooner or later. Not hard to to make your computer backup every night, while you catch some shut eye. registry cleaners, another money making scam. don’t waste your time or money. Use it if you really know how. I do and it has fixed (or improved) many machines I have worked on, despite all the death threats and pompous retorts to my opinion. I use a free, and very user friendly, third party program to make a fresh registry backup first, then clean out what I am comfortable with, using a powerful reg cleaner. If the machine refuses to reboot, I use a boot CD to restore the registry (rarely needed). But it took years of sweat and tears to gather the knowledge to do it properly. No, please don’t ask me to proof how it improves things – if you don’t know, it simply illustrates your ignorance, but for the insistent ones: CLSID/activex/com, and entries you won’t find using simple key words, but this is dangerous ground for amateurs. I agree that the average user must avoid it, and that it’s not worth their time to gain the experience these days. Believe me, it is actually easier and faster to reinstall than to learn how to use a powerful reg cleaner properly. The CCleaner and other so-called safe programs, are virtually useless. Use them if you want to remove temps and caches for a little bit of privacy, but don’t waste your time trimming the registry with their infant reg cleaners – it’s a total waste of time that definitely does not justify the risk. I periodically use CCleaner but it’s usually before doing a full backup and/or to remove redundant entries which innefficient uninstallers leave behind. Admittedly some of these entries are generated long after the installer is finished and are not logged to the uninstaller. Finally, I usually run NTRegOpt to tidy it up. One thing I don’t like about CCleaner is that the only option with the erroneous entries appears to be to delete them, even though a simple edit may suffice. It occurs to me we’re replicately in the early days of television (yeah, I’m that old) relevant to home computers. We actually used to replace TV tubes ourselves. Computers, however, are way beyond typewriters and televisions and we need expert advice such as Leo’s. At fifteen years into this I’m competent albeit faking it most times. Suffice to summate, derogatory opinions do no good but only serve to complicate. Like TVs this will plausibly become a maintenance free technology imminently. Leo, Thanks for the information. All information is good. Your posts are valuable AND bring forth additional data. It is up to the individual to determine it’s value to them. They just need to wade through those obvious label hypes and some folk that are just injecting noise to see themselves in print. While the focus is on “Registry Cleaners”. There are other reasons to ‘Manage’ the Registry than just arbitrarily ‘Clean it’. One such is the Downloaded Software and OEM freebies (that came with). Even though some individuals might consider them just a nuisance. That software does not NEED to be there. And after using the uninstall, they leave a trail through the registry for what purpose? Might be that fit the describe for a “Computer crime”? Example: search|”Connecticut Statutes Title 53. CRIMES Chapter 949G. COMPUTER CRIMES”|. As the owner of a computer leaving those entrails is without my permission(s). With that scenario in mind, a tool to remove that ‘junk’, is surely a valuable one. Do Registry cleaners offer that in some form? Don’t know. The information offered by Texas Mike (THANKS!) suggests that there is a tool specifically to rid the preinstalled and/or downloaded (and found to be not the right stuff) software. Especially saving time from the ‘find > delete > return > f3’ sequence to do it manually. Wonder if it will delete the ones the manual process responds with “DENIED!”. DENIED. Hmm. How criminal is that? I have used RegistryBooster 2 by Uniblue for years and never had any problems, and it actually seems to help when I have problems. Not every time, but sometimes. I used to use it fairly often, but now because I respect Leo’s advice I use it once in a blue moon. I use Revo Uninstaller which performs a registry clean-up after it has fully removed a program. I have never found a better way of entirely removing software from my system and Revo has never caused any problems – although I fully agree to backup your backup!! I have been involved with PC’s since the Beginning. I use C Cleaner, which allows you to save the old registry and edit you cleaning entries. 99% of the time if you have a registry problem none of these cleaners are going to solve the problem. Ist backup your system, before doing anything. 2nd Backup your system again. 3rd get on line or call an expert for help (when I have problem that I know nothing about, I use all the help I can get). I’m not going to claim to be an expert on how the registry works; however, I believe it’s simply just a database of values. It is organized to that those values can be found efficiently. Windows is not running programs through the registry or anything else like that. Windows looks up a value whenever Windows or another piece of software request the value. And when it is requested, the exact path is known. So what does it matter if there are entries left over that will never be requested? It’s not like Windows has to read every value to locate the one requested. The value is requested by its path. Now I suppose if half of your registry was filled with values which are not in use, you might have a performance issue, just like a highly defragmented hard drive will give you performance issues. For fun, I exported the registry on my Windows XP machine. It’s 59 mb. At that size, any drag in performance in getting to the correct registry key is going to hardly noticeable. I haven’t used a registry cleaner since Microsoft stopped making their cleaner. Cal says: Thanks for the well written information.But I beg to differ. Cal says: Good start. 🙂 Most experts are only that. At a point in time. James says: however, I believe it’s simply just a database of values. It is organized to that those values can be found efficiently. Cal says: Beliefs are a good thing. Mine? I believe, You believe. What you want to believe. James says: Windows is not running programs through the registry or anything else like that. Windows looks up a value whenever Windows or another piece of software request the value. And when it is requested, the exact path is known. Cal says: Would that be contradictory? Maybe kinda cornfusing. Not running programs. But looking up? More to actively using the registry. And possibly tripping over anomalies. Bad data? James says: So what does it matter if there are entries left over that will never be requested? Cal says: Hmmm, Never say never. So why do software companies leave their signatures (data) through out the Registry. AFTER using their uninstall programs? Just to harass the device owners? Kinda a ‘nanner nanner’? OR. Maybe they are ‘hooks’ that are grabbed if you visit (mouse over) links to their (or other) web links? And/Or One downloads and re installs an older/newer version, for a retry. Or, for what ever reason? Analogies to follow. Personal. And maybe legal? James says: It’s not like Windows has to read every value to locate the one requested. The value is requested by its path. Cal says: So what IS requesting the value or path? Just Windows? And is that the only way information in the Registry ,that is searched/looked/for, being used? See mouse over etc. above. James says: Now I suppose if half of your registry was filled with values which are not in use, you might have a performance issue, just like a highly defragmented hard drive will give you performance issues. For fun, I exported the registry on my Windows XP machine. It’s 59 mb. At that size, any drag in performance in getting to the correct registry key is going to hardly noticeable. Cal says: Unless? There is a new problem or other existing problems that add too the ‘drag’? James says: I haven’t used a registry cleaner since Microsoft stopped making their cleaner. Cal says: Might that it be interpreted as there isn’t something wrong with your equipment. OR… Just that it has occurred and wasn’t obvious to you? Or, your a might more careful downloading that new tool and not having to wonder where that toolbar (or extra stuff) came from that you can’t get rid of. Possibly that new registry entry says ‘DENIED” when one attempts to delete it? Put there by a hacker? Sorry, forget that last line. Analogies. Personal: Buying a new or even a used car. Or Having it serviced and finding a dealers license plate ring after signing the papers. AS it is now my car. Wouldn’t that be my choice to put my preferences there. Be it a plain ring OR a social organization or statement. Having it serviced and finding a different ring. Legal? They ‘stole’ the one that was there. Computer laws on tampering with a computer that isn’t yours. There are plenty of references on the Internet for that. Bottom line. That extraneous data need not be there. Whether some have a belief that ‘It doesn’t really matter’. Or not. Wow Leo, some of the contrary responses are far more vitriolic than those on Windows 8 eh? We don’t see eye to eye on that one at all but we’re perfectly sympatico on this one. I’m pretty well convinced that even knowing it doesn’t help, as some so conflictingly revealed, they are just the folks among us who cannot stand the idea of any useless clutter. Whereas Windows can ignore useless clutter and move directly to its purpose, we as humans might tend to think, well, if I don’t pick up that Leggo block now, sure as heck I’ll step on it in the middle of the night on my way to the bathroom! Jack, Reaching for extremes, says: Wow Leo, some of the contrary responses are far more vitriolic than those on Windows 8 eh? We don’t see eye to eye on that one at all but we’re perfectly sympatico on this one. Cal says: Vitriolic ? As opposed to? Feel good do nothing statements like “useless clutter”. Jack, Reaching for extremes, says: I’m pretty well convinced that even knowing it doesn’t help, as some so conflictingly revealed, they are just the folks among us who cannot stand the idea of any useless clutter. Cal Says: Repetition of an opinionated claim like “useless clutter” (Implying dormant?) doesn’t change anything. Would be good to offer something based on facts. Cal says: Stating Windows ignores that “useless clutter” (again), shows that you choose to ignore that Windows isn’t the only access to the registry. Most downloaded (and OEM) software has access to and deposits what it thinks is necessary for Windows, and it’s OWN applications, to use (and/or trip over) the data set in place there. One example might be the nag screens some put there. Directing Windows to use and place it in ones face. And, some resolves for that is to remove/change Registry entry’s. Jack, Reaching for extremes, says: we as humans might tend to think, well, if I don’t pick up that Leggo block now, sure as heck I’ll step on it in the middle of the night on my way to the bathroom! Cal says: Good point and that would be whom doing the stepping. Yourself? And any other of the occupants? Including kids. Are you suggesting child endangerment? Analogies are good. They offer comparisons to make a point. And sometimes can lead to sticking oneself with it. To all reading this exchange. I’m NOT advocating ANY ‘Registry cleaners’. I am looking for a tool that I can manage the excess data strewn about the registry. As I see fit. I DO take issue with those that ‘appear’ to have knowledge, but only offer wind. Even parroting others that don’t attempt to provide supporting data. Who knows. May even be the same ‘troll’. Leo, Thanks for letting me, as your comment section states, ‘Speak Your (My) Mind’. I appreciate you newsletter. I have found and applied several items from it. Especially the time I save using AutoHotKey (AHK) information offered a while back. If you use a good uninstaller like Revo or Advanced Uninstaller Pro from your first windows installation you will not require a registry cleaner at all. The other advantage of using these types of software correctly is you do not need to restart your computer after removing programs. These opinions are so very esoteric but what is lacking from the community is a statement of how good Registry Cleaners are. The auguments concentrate on whether they do any harm, rather than whether they do what they are supposed to do. If you used a Registry Cleaner, can you quantify what improvement it provided? To those who use a Registry Cleaner every week, why do you do that? Brian, if a registry cleaner has the potential to harm your computer, any improvement in performance would be rendered useless if an important registry key were deleted. Therefore, there’s not much reason to talk about potential improvements. If a perfect working certified cleaner is used..
and that too without any risks. beside , support team is available. of what Corel corp. is copying now a days. I have no idea what a “perfect working certified” cleaner would be. My opinion still stands: last resort only. have it gone for 3-4 days. I am a grandma and that’s important to me. A “geeky” friend who’s worked in computers since the 60’s told me he trusted your advice. I’m very glad it worked well for you but please be aware that was an AD, not a recommendation. I’m not familiar with that specific product. More on the difference here: What’s the difference between an ad and your recommendation? 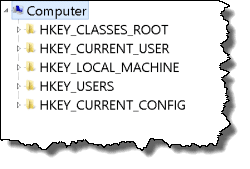 HKEY –CURRENT USER– so I decided to simply create a new user account but it turned out that you had to access “PC Settings” to add a new user account. Then i had a moment of brilliant inspiration I think, “Why don’t i just use CMD to add a user account?” and now here i am feeling so dumb because i spent 3 hrs on something that could have taken me 5 minutes. 3 hrs to solve a problem that should have taken 5 minutes? Welcome to the club! That’s pretty normal in the IT world. Fixing a problem is usually fast. Finding out what the problem is, that’s a whole ‘nother ball of chewing gum. I believe a tool to repair / optimize registry should be used when you find yourself considering to reformat your computer. If you’ve been using your pc for over 5 years without any repairs and its causing you problems such as: in my case my pc has been crashing, freezing, lagging and it takes a very long time for it to start or shut down, its time to try a registry repair. If only they made registry tools that were specific to your version of Windows so it would be less likely to cause side effects. I need a tool that can diagnose missing drivers, files and fix corrupted registry and optomize my pc, if anyone has any suggestions. I don’t agree that this would be a time to use a registry cleaner. Sometimes reformatting and reinstalling truly is the best solution. I enjoyed reading the back and forth, and for now, will hold off on trying a registry cleaner. It sounds like a can of worms. Thank you for your reply on my question! about “Registry Cleaners”. I appreciate your feed back. After reading many of the comments on whether to use one or not. ” I still am not shure! I respect your opinion, and enjoy reading the “Ask Leo” Articles! My computer is working fine, so…maybe! i don’t need to continue using the cleaner. I have CC Cleaner too! I like what one of the comentators said! I personally recommend Ninja TuneUp which is a complete PC optimization tool with features like registry cleaner, defragmentation and it also speed up your computer. Windows 8.1 needs a registry cleaner! My “file explorer” showed me a folder containing three sub-folders with identical names! Wondering how this was possible I opened a command window and did a dir command. The folders weren’t really there! Doing a web search I came across this article. I had tried several other registry cleaners that I downloaded. When I installed them there was no “opt out” for the additional crap they contained that took over my browser changing my home page to yahoo.com and search engine to yahoo search. I had to locate and uninstall the crap the installed without permission – BEWARE! On your recommendation I downloaded Macecraft’s JV16PowerTools. On running their registry cleaner the strange duplicated folders disappeared from file explorer and several other strange behaviors with Win 8.1 went away too. I tried several of the other options in jv16. It found over 54,000 unnecessary files in …\App Data\temp! I was so impressed i bought a license key! Easy rule of Thumb: Never use a registry cleaner unless you know how to recover from a bad cleaning up to and including a no-boot condition. I call this ‘steam cleaning your car engine’ – makes it pretty but can render it inoperabile. And doesn’t make it run any better. And many users confuse ‘File Cleaning’ with ‘Registry Cleaning’ – the former can definitely help computer performance, the latter, not so much. I’ve used cCleaner for years and have never had a problem. Even so, I do the run the cCleaner backup should I ever want to reverse the results. I had been using a major commercial registry cleaner and it was causing problems. I’m glad I found this article and this thread – it is much more of a debate on why sometimes need some kind of clean-up tool and not as black and white as just ‘Windows 7 doesn’t need a registry cleaner’ as I have seen elsewhere. I accept Leo’s point that a Registry Cleaner can do more harm than good. And I agree with many of the other assertions too, that stuff does need cleaning up sometimes. Microsoft don’t provide a tool to do it so we look for something that is a) safe (if you are just joe bloggs like me) or b) tweakable if you know what you are doing. I’m on here because I’m having problems. I will probably reinstall, but want some kind of tool to help prevent further problems. For the last 6 years I have used the registry cleaner in Norton 360 and had worry-free computing with no issues for over 6 years on all our family laptops. I started using it when having issues with XP – the 360 registry cleaner seemed to solve them – and continued to solve issues every time I installed or uninstalled something. I knew nothing about Registry Cleaners – it was there, I trusted the product and never once had a problem. I used it on netbooks and laptops. Just recently Norton 360 had an update that removed the registry cleaner and has now changed its product line. I was not pleased – they had taken away my reliable tool. I made a big fuss and then just accepted it and accepted that people said Windows 7 wasn’t like XP and didn’t really need a registry cleaner. After a week I started getting the old familiar issues of things freezing and not loading and missed my registry cleaner so decided to look for an alternative tool. I downloaded a trial of Norton Utilities 16 and foolishly clicked the big button that said ‘Optimize Now’. It certainly cleaned up a lot of redundant files in Microsoft Word. It also deleted over 2,000 registry entries. I was a bit surprised at that one – my old one used to find and remove the odd one or two – never more than 9 or 10, but 2000 plus! Anyway everything seemed to be working fine and was faster – for a day or so, then it seemed to freeze up again and I didn’t really find the user controls very understandable or with enough options, so I thought I would do a System restore and put everything back to how it was before I downloaded Norton Utilities 16. All my system restore points had gone and system restore was no longer working. I found a Norton tutorial which told me how to get it working again and how to set up Norton Utilities so it didn’t ‘Optimize Windows’ (yes I know I should have read an instruction manual first). It didn’t work. I have all my files and documents backed up and a recent system image so I will reinstall from that. But I am left not trusting Registry cleaners or tune-up utilities. But I also know that sometimes I need a tool to clean things up and I am not an expert who can go in and edit the registry. I know this is life – you are happy with a product and they discontinue it and you can’t find anything else to replace it (toasters are just as bad). I am not happy with just ‘doing nothing’ and letting bits of rubbish pile up and cause issues. I have come across people recommending using Revo Uninstaller instead of a Registry Cleaner and that sounds like it might be an option – except on this thread I believe someone said that actually cleans the registry as well. I once tried CCleaner on a netbook and decided it wasn’t for me as I deleted all the registry entries it flagged up not understanding what they were and had to reinstall. I actually have a built-in Registry Cleaner and defragmenter on my laptop (Sony Vaio). But our other household laptops don’t have this and I’m in charge of keeping everyone’s computers running smoothly being the most geeky person in a family of technophobes. Which I have always done very easily by singing the praises of the Registry Scanner that was built into Norton 360. I used the Sony one a few times and then didn’t bother because Norton 360 had one that worked fine. So now I’m wondering if that one is ok to use (part of Vaio Care). Other than that I had narrowed it down to Wise Registry or Revo Uninstaller. Any thoughts? I think the problem for non techies like myself is, we want a tool to help fix things when there are minor issues. Major issues you seek support for. But there is nothing more frustrating than lots of minor little niggles. I know they were caused by bits being left being after installing or uninstalling programs – especially Adobe ones – (and we don’t do that very much) and I wanted it sorted. Norton 360 is now just ‘Norton Security’ and is basically Norton Internet Security as was – I’m fine with it as an antivirus product. I have never had a virus or malware on any of our computers in 6 years (if I suspect an issue I run Malwarebytes and have never once found anything). But it seems their tune up products are just the same as most others – too aggressive and mess with your Windows set up and clearly it is not the same registry cleaner as was in Norton 360. I actually ready in the installation manual for Norton Utilities 16 (after the horse had bolted) that it puts two items into the windows registry to speed things up – not keen on that either – and it could be why the laptop is now running hotter as well. Anyway my point is – ok Registry Cleaners are a no-no. So what do I use as a non-techie? Revo Uninstaller? Or is Wise Registry the ‘safe’ one? I use RevoUninstaller and it seems to recommend deletion of some registry keys as part of its extended uninstall. Do you think this kind of “cleaning” is a good thing? I notice you recommended RevoUninstaller back in 2010. Do you still agree with that recommendation? I still regularly recommend Revo. However I do avoid the extended uninstall unless there’s a problem that remains after its less aggressive approach. And of course I backup completely first. and I’ve seen advice to uncheck registry cleaning in CCleaner. What about uninstallers? You have previously recommended Revo Uninstaller which first runs the application’s built-in uninstaller before offering to remove left-over files and registry items (frequently a large number of such items) which appear to be associated with that application. And I use Comodo Program Manager which monitors all installs, retains the information, and claims to use that if subsequently called upon to do a complete uninstall. Could these uninstallers also damage the registry? I’ve never had or heard of any problems with Revo Uninstaller. I haven’t had any experience with Comodo Program Manager, but you can probably check out their forum or Google to see if they have any issues along those lines. They’re less likely to because their actions are significantly more focused. But, for example, even Revo will warn you in it’s “aggressive” mode that side effects are possible. As always, a good backup is your best defense. I’ve been using Ccleaner free version for 8 years, and never had any problems, but it is only my own paranoia of unused, obsolete reg keys, and unwanted Internet cookies that keeps me using it. I have tried for small time frames to not use any reg cleaner, also without trouble. However, when I find discussions like this one about reg cleaners on the net, where the two sides pro registry cleaners, and anti registry cleaner are represented, I get nervous all over again, and reinstall Ccleaner to check on how “filthy” and over-loaded my registry is since the last time Ccleaner was installed. My research on this subject has been lengthy, meaning in years here and there, and the words of Leo, and those here who also support the anti reg cleaner as essential to a computer’s health, make more reasonable, and logical sense than that of the supporters of reg cleaning. I have used all but one of the registry cleaners mentioned here in this article, that being Argente. IOBit has been the most harmful to one of the computer’s I had owned years before when I ran Vista. Much of my other installed software would not run after one cleaning from that program. Also, the IOBit Advanced System Care is a resource HOG, when first installing, every single program it offers starts running at the same time immediately, and sets themselves to START automatically at Windows Start-up, which I hope most will realize is too many start up processes will slow boot-up time to a trickle where one might wonder if it will ever boot up again. Also I found it more than difficult to get to the program’s settings to disable the unwanted programs of IOBit Advanced Care, due that they bombarded me with their UI’s of each program one after another where I was unable to click them out, as my mouse pointer seemed to have been disabled while their programs loaded. I felt the control of my PC was snatched away from me by this software, forcing me to comply with its predetermined functions. That was all it took for me to uninstall it immediately. Tune-up Utilities is a pretty good program, for the most part, however, I came to discover that I gained 1 GB yes, Gigabyte, of RAM NOT using it. That is a lot of memory use for any program that runs continuously on a computer…so after years of using it, and then uninstalling it, I never went back to Tune-up Utilities again. So, finally to my main concern in whether or not to continue using Ccleaner, or any other registry cleaner in future, that concern being cookies, those that track users, and even those that don’t while browsing the Internet, invading our privacy, etc. I want these removed from my PC, and only keep those which are from sites I frequent regularly. How can I remove these manually, or is it just faster, and easier to continue running Ccleaner? It is fast, are detailed in showing the user the files and information about what is deleted and allow for the user to jump to locations containing cache, logs, and DB files that are generally difficult to get to manually. I sincerely appreciate, and anticipate your response, Leo, and other participants. No reason to stop using CCleaner. It lets you whitelist cookies from sites you frequently visit. It’s a good option, as at the same, it checks the entire computer for temporary and deleted files and can recover a lot of disk space.